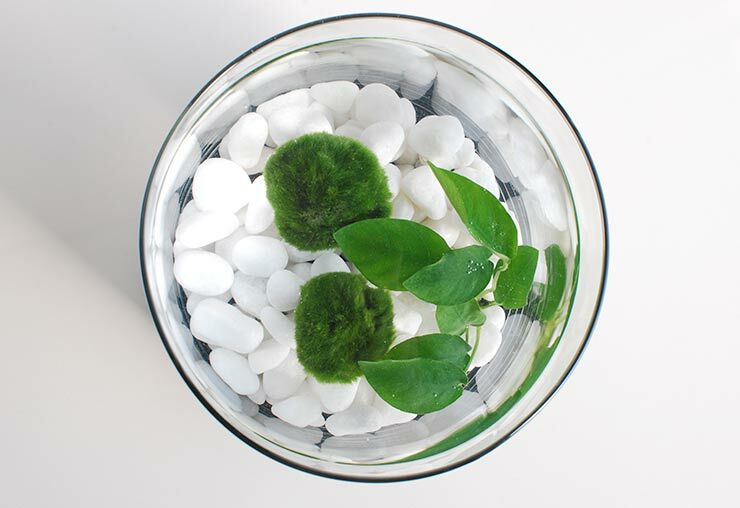 Ever heard of Marimo moss balls? No? Well you are missing out. I love moss. In any form, it it one of the simplest, yet most stunning plants ever created. (My humble opinion!) So when our daughter gave Steve a moss ball aquarium for Christmas for his office, I was immediately hooked on these cute little plant pets. 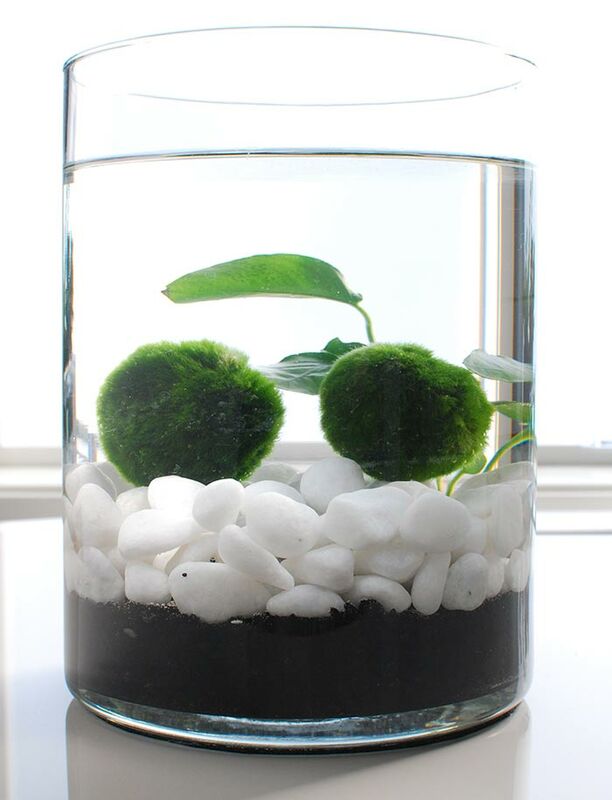 So I went about learning how to make my own Marimo moss ball aquarium, and I love them! 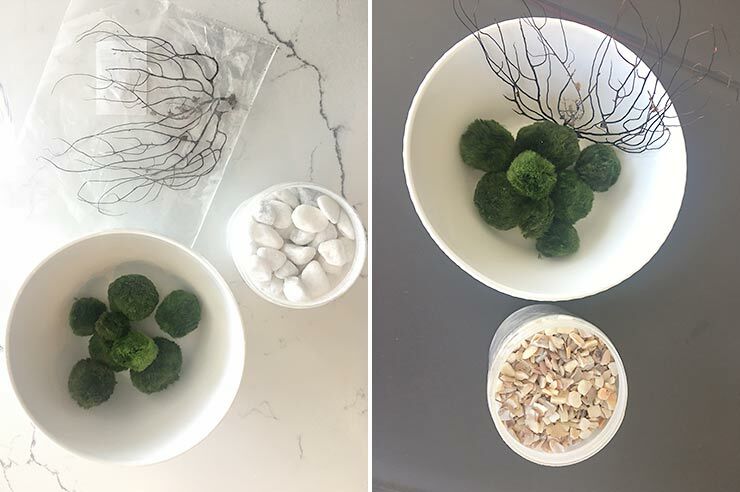 So if you want to jump on the moss ball craze like I did, read on to find out what these little “creatures” are all about, how to create your aquarium, and how to care for your moss balls! 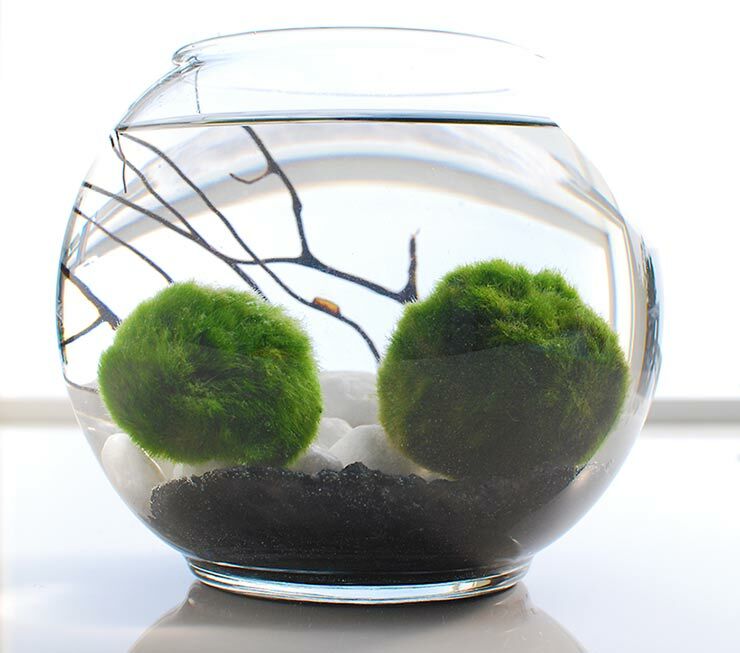 What are Marimo Moss Balls? So this may be the easiest DIY indoor water garden you could ever plant. 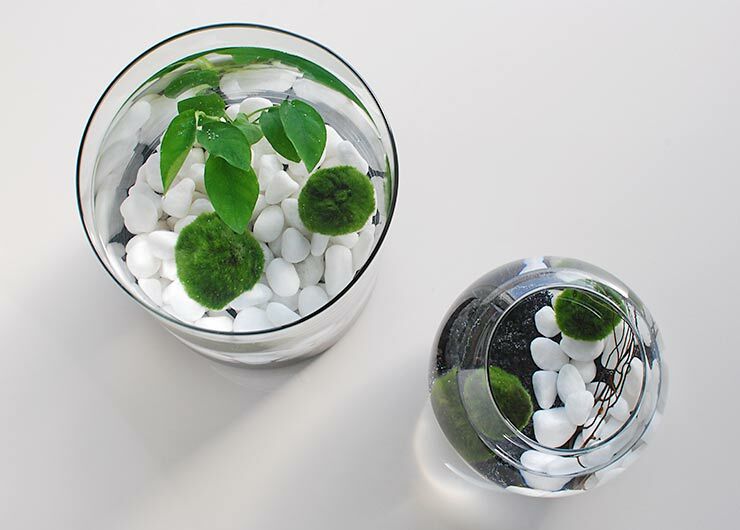 Moss balls are not fussy in any way, so you can really use your imagination in decorating the aquarium. Glass Containers – We used different sizes and shapes for fun, they can be open, or closed. 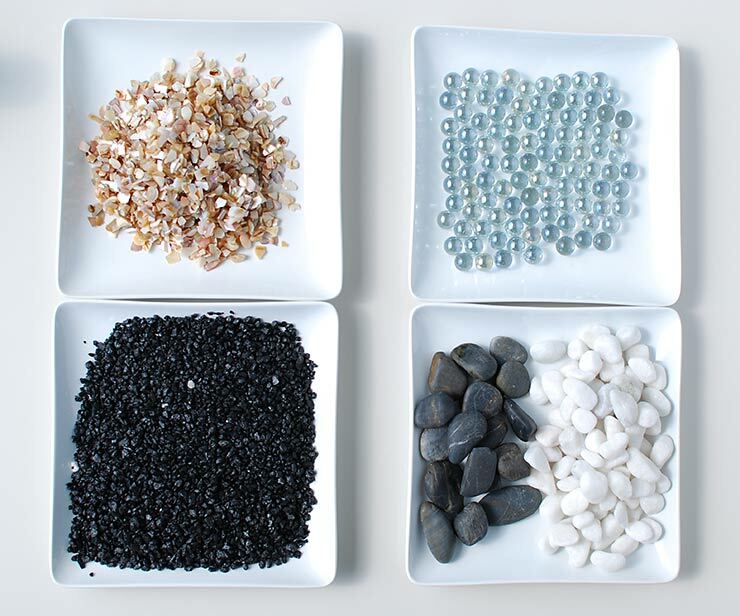 Aquarium or craft sand, gravel, crushed shells or rock. Your choice! We used a piece of black coral as an accent, you could use anything that is water safe. Live water plants if desired. We found everything needed to make these moss ball aquariums on ‘Amazon’, and most of the supplies we mention below are Prime and/or free shipping. 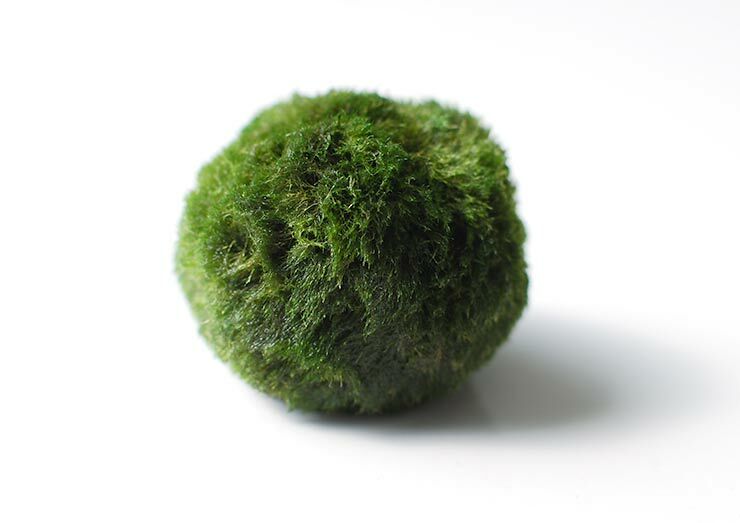 The moss balls we ordered from “Aquatic Arts’ were healthy and shipped fast, we were really happy with them! The last link here are where you can buy entire moss ball terrarium kits, where everything comes except the water. If you only want to make one small aquarium, this may be the most cost effective way to go, since you won’t have to buy larger bags of aquarium gravel. Gather your supplies together in one place. We had a variety of different materials to choose from as we made several moss ball aquariums at once, but you will probably have fewer choices if you are only making one. 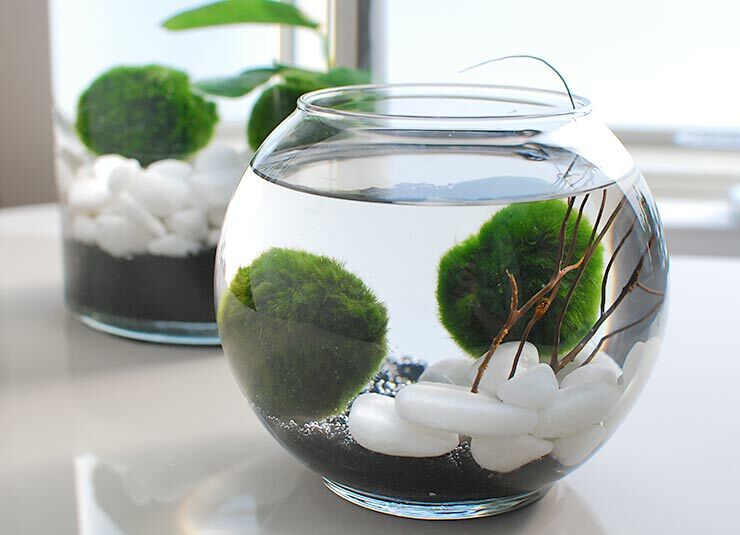 Start by rinsing your moss balls under water and squeezing them out. This gets them nice and clean. Rinse any stone, gravel or sand to get as much of the dust out of it as possible. 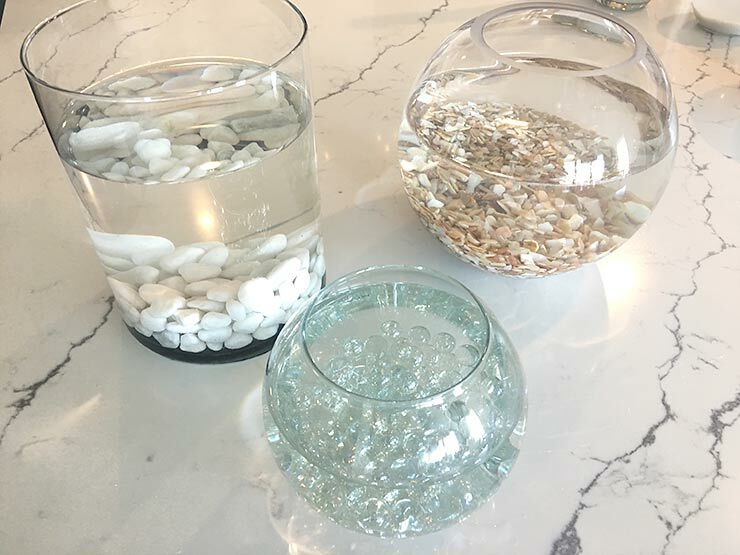 Start by creating a bottom layer of gravel or sand in your glass container. This can be deep or shallow, you can layer more than one material, or you can stay simple. Fill the container at least half way with water. The rest is simple! Add any accessories you want! This can be larger stones, shells, coral, or even live aquarium plants. You may have to work with your fingers to anchor things under the gravel. Smooth out the bottom substrate to your liking. Toss in your moss balls! Done! 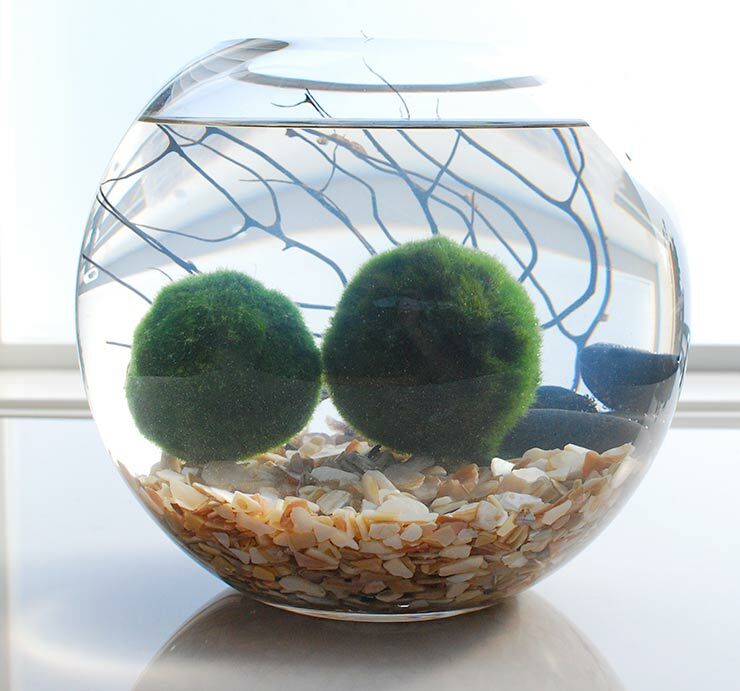 Marimo moss balls grow extremely slowly. So buy the size you want, don’t expect them to grow into a large container any time soon. Buy from a reputable dealer or store. See below for our source that we were very happy with! 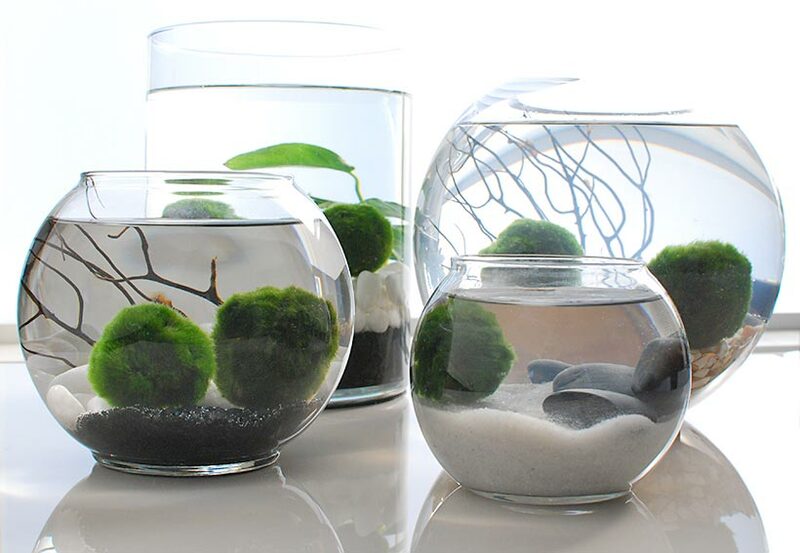 Your moss balls will float at first. If they don’t sink within a day, that means they have air trapped within them. Squeeze them out and let go while under water (important) and they will sink. 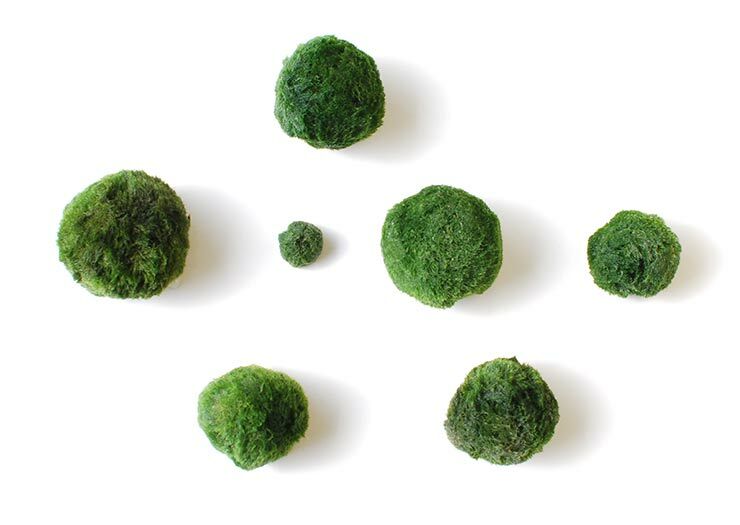 If your moss balls aren’t perfectly round, you can roll them between your hands to create a better ball shape. Then the algae fibers will grow through that ball shape and become permanent. Eventually. 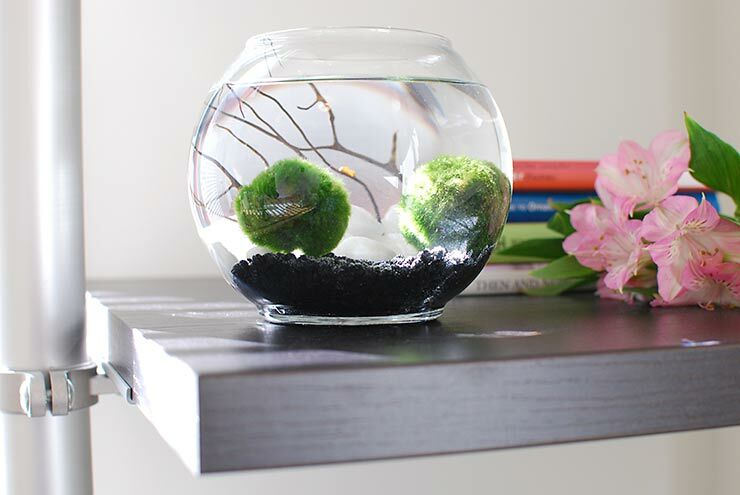 We made several different moss ball aquariums, and all of them turned out awesome. As you can see, you can use different approaches based on what you want your indoor water garden to look like. Honestly my favorite turned out to be the cylinder shaped container with the black and white layered rock and the live water plant. The contrast of the white on black really seemed to set off the color of the moss. But they all have their own personalities. 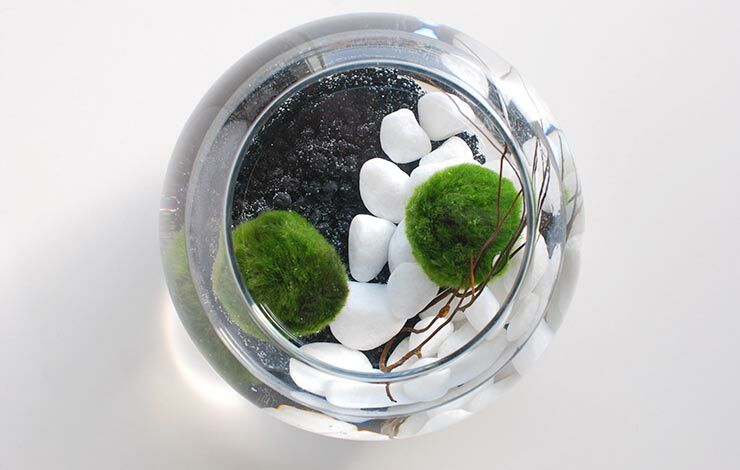 Gorgeous moss balls, they look amazing with the black coral accent too. So here it is, my favorite out of all the ones we made. Gorgeous water garden for Steve’s office! Ok, so do you have a favorite? Many people create a more “seashore” type scene, and this can be pretty too if you want a more coastal feel. I prefer this vibe, myself. 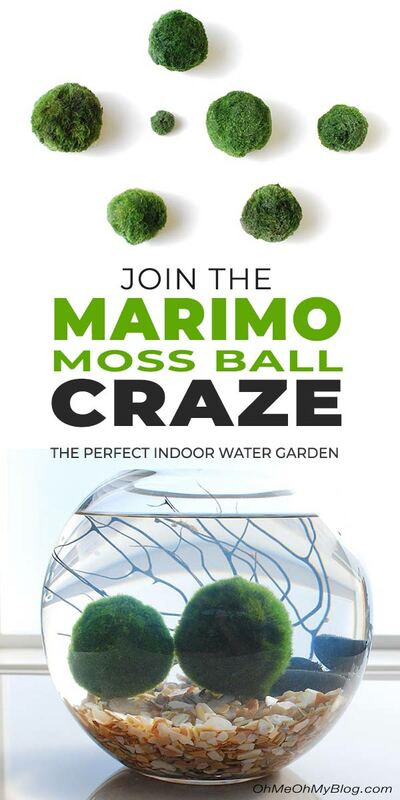 So now all you have to do is find the perfect place for your Marimo moss ball aquarium! These are a step above an ordinary houseplant, and you can showcase your creativity in creating this indoor water garden too. Win win! So, do you love these little plant pets, or hate the whole idea? We’re thinking if you made it this far, they at least intrigue you! We think you will also want to check out our posts on How to Care for and Decorate with Air Plants, and DIY Indoor Vertical Garden Planters!